A little bit of cannabis at the right time and place can be great for problem solving and creativity. As a psychoactive plant, cannabis has long been used as a tool to unlock creativity. Simply defined, creativity refers to the use of imagination for original ideas, especially of the artistic variety. While creativity is most often associated with activities like painting, writing, and music, creativity can help individuals in nearly all aspects of life. This includes everything from problem-solving at work and home, everyday conversation, cooking, and thinking up new ideas. Yet, if creativity is used in such a wide variety of circumstances, how does cannabis alter creative thinking? The simple answer to this question is yes, sometimes. While cannabis is famous for providing creative inspiration to the likes of artists like Hunter S. Thompson and Bob Marley, the herb has a few tricks up its sleeves. A lot of people are using cannabis to engage in divergent thinking. A 2015 study conducted by University College London found that psychoactive cannabis was associated with improved divergent thinking in 15 human participants. 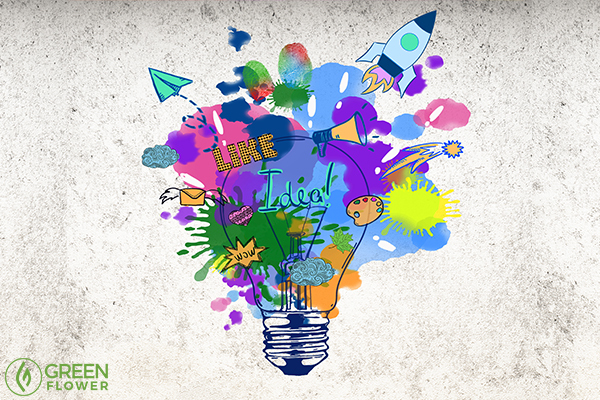 Divergent thinking is often used as a measure of creativity, and it allows individuals to connect abstract ideas to come up with creative solutions to problems. Research published in 2015, however, suggests that high doses of cannabis appear to impair divergent thinking. With too much of the psychoactive, you may find yourself less able to brainstorm new ideas and innovative solutions to problems. The study found that those who used cannabis only occasionally had greater divergent thinking ability than those who consumed the herb regularly. Too much psychoactive cannabis can promote anxiety and cause racing thoughts. However, one major reason cannabis is thought to contribute to creativity is through its impact on focus and attention. Lower cannabis doses may be best for enhanced focus. Cannabis is being considered as an ADD/ADHD aide for a reason. In a 2008 case report presented at the International Association for Cannabis Medicine, THC treatment was found to successfully improve behavior and overall performance in a 28-year-old subject with ADHD. Yet, you don’t have to have ADHD to benefit from the attention-improving impacts of cannabis. Anecdotally, the plant helps many return the present moment and dive deeper into creative projects when used in the correct way at the correct doses. One interesting observation about cannabis and creativity? Cannabis may help you recall past events and draw upon them for creative inspiration. Cannabis and memory is an interesting thing. There is no doubt that cannabis can promote thoughtfulness. While high doses of psychoactive cannabis can promote raciness and anxiety, cannabis has been used as a meditation aid for millennia. In fact, one of the oldest medicinal uses for cannabis was as a remedy for “absent mindedness” in ancient China. While subjective, many consumers find that cannabis helps them turn inward and assess both their emotions and life experiences. The ability to promote introspection is one of the many reasons why cannabis makes you more creative. By anecdotal standards, at least. Pattern recognition is perhaps one of the most important aspects of creativity. In this case, cannabis may foster creativity by increasing the ability to recognize patterns and not just visual patterns in artwork. Pattern recognition allows an individual to draw conclusions from any kind of data, whether it be visual, semantic, mathematical, or philosophical. A 2010 study published in Psychiatric Research found that cannabis consumers demonstrate greater ability to connect seemingly disconnected words. If given a word stimulus, cannabis consumers were more likely to associate it with words that do not automatically compare. For example, if someone was given the word “flower” a cannabis consumer may be more likely to associate the word with something like “flying kites” without difficulty. This adds fodder to the argument that cannabis consumers are better able to connect otherwise abstract ideas. Fascinatingly, the ability to connect abstract concepts was greater in cannabis consumers both after partaking in the herb and when they were tested again on a later date after abstaining. This characteristic may allow cannabis consumers to see associations, or patterns, more easily. This improves creativity. Cannabis may also stimulate creativity thanks to its ability to alter blood flow in the brain. Cannabis can get your creative juices flowing quite literally. 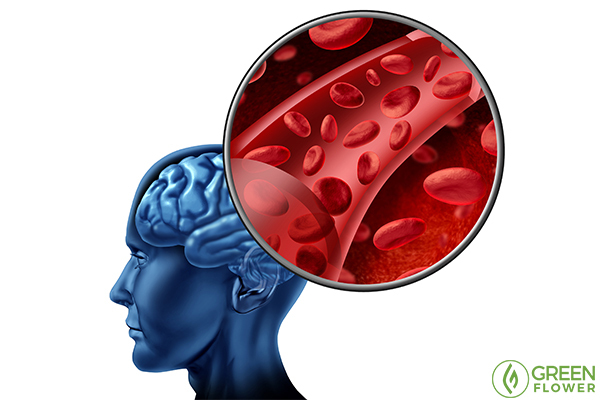 Specifically, cannabis consumption is associated with increased blood flow to the frontal lobe. The frontal lobe is thought to be a center for creativity and divergent thinking, as mentioned above. Already, tests among individuals with high creative intelligence have found that there is a strong association between superior creative performance and greater cerebral blood flow into this area. As mentioned above, there are certain times when cannabis may not make you more creative. In fact, while the herb can enhance creativity when consumed with care in the right environment, the herb can also have the opposite effect. In some circumstances, cannabis might make you less creative. If you’re hoping to use cannabis for creativity, it may be best to start with lower doses. However, different creative projects may be enhanced by different uses of cannabis. As Marincolo mentions, you may prefer a higher dose edible while painting. While writing, however, microdosing may encourage more focus. Starting with lower doses, however, will likely prevent you from becoming just a little too elevated. If your dose of THC is too high, you may find that you feel less creative than before you consumed cannabis. 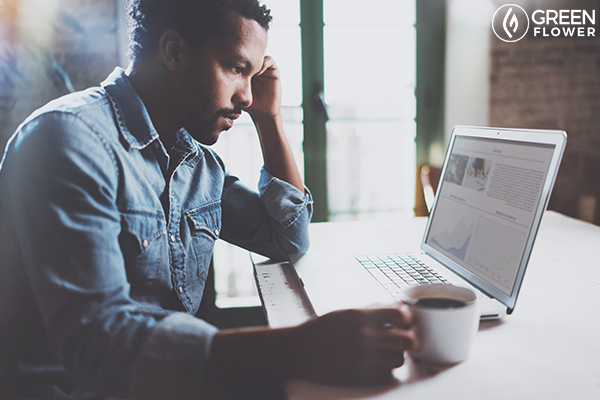 If a strain makes you sleepy, chances are you won’t feel motivated to engage in creative work. To enhance the creative powers of cannabis, opt for cannabis cultivars that provide you with enough stamina and clear-headedness to get the work done. Finding strains that contain a mixture of THC and CBD may also be helpful for creativity. The presence of CBD prevents THC from becoming overpowering, allowing you to spend less time daydreaming and more time focused and productive. If you’d like to learn more about how to better use cannabis for creativity and problem-solving, you can check out the online course with Sebastian Marincolo today: How to Use Cannabis to Unlock Your Creativity. 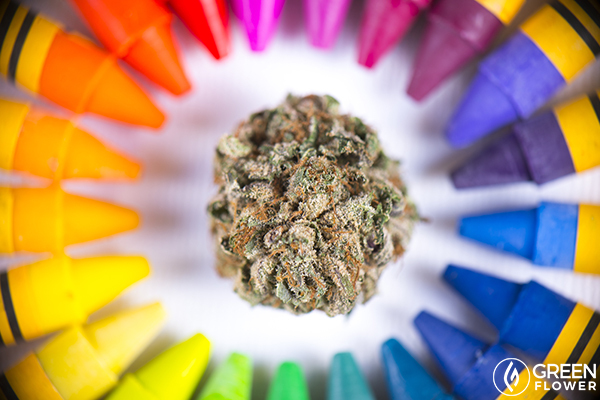 Has cannabis ever helped you with creativity?